Is An Anatolian Shepherd the Right Dog for You? 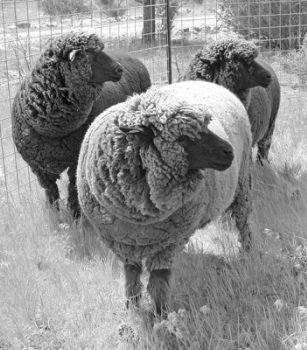 At Marble Peaks Ranch in northern California we raise registered white and natural colored Corriedale sheep. Our focus is growing gorgeous fleeces for discerning handspinners. We cover our sheep year-round to produce pristine wool. We search for quality genetics across the world and use AI to produce the finest quality breeding stock. Our Corriedale sheep also produce delicious lamb. Our lamb is grass-fed and humanely reared on our beautiful pastures. We breed pedigreed Anatolian Shepherd Dogs to work as livestock guardians for our sheep. Our Anatolian Shepherds protect our sheep and allow us to cohabit with the many species of wildlife on our land in remote northern California.